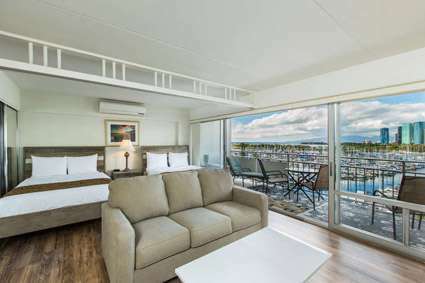 The unit has brand new two double beds, new sofa-bed with upgraded foam mattress and a rare sliding privacy wall for the bed area. 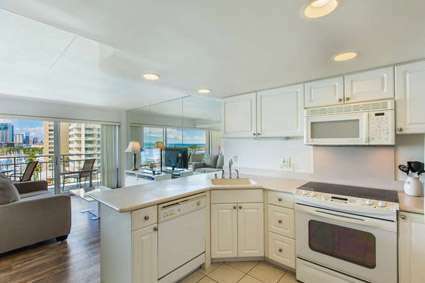 The condo also has a full kitchen, Corian counter tops, stove, fridge, dishwasher, microwave, rice cooker, blender, Mr. Coffee 12 cup coffee machine and most all items you need to cook all your meals. 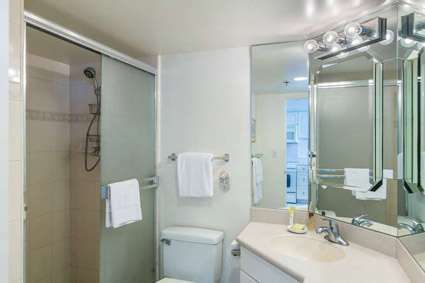 The large bathroom has a walk-in shower and is outfitted with a hand-held shower head. 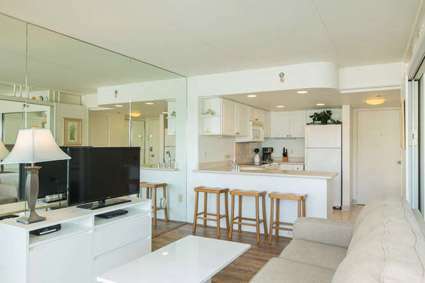 There is a flat screen TV, DVD, a spacious living area and comfortable bed area with full closets and condo has a split AC system. 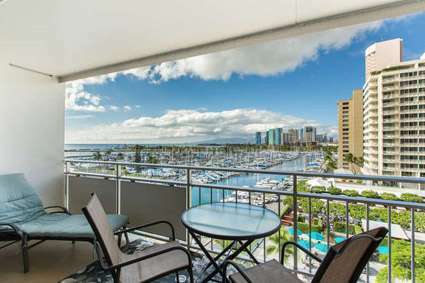 The huge 120sf lanai will offer you great days and nights relaxing and taking all the great views that guests from all over the world travel to see. 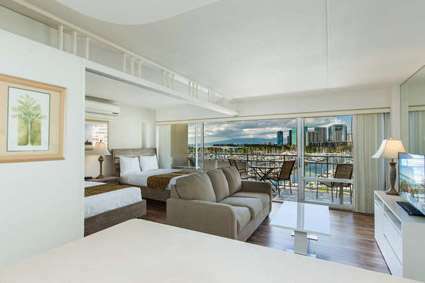 If you want tropical ocean-views and a spacious suite that allows you to enjoy the tropical gardens and nightly torch lighting, you can't beat this one! 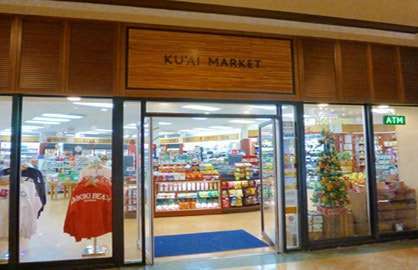 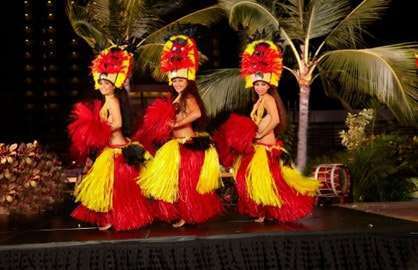 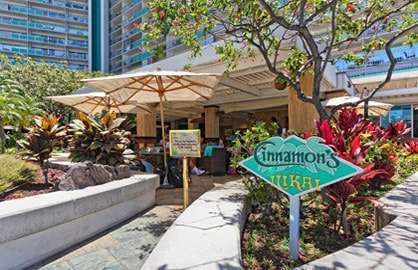 Welcome to the famous Ilikai, internationally recognized from appearances in Hawaii Five-0! 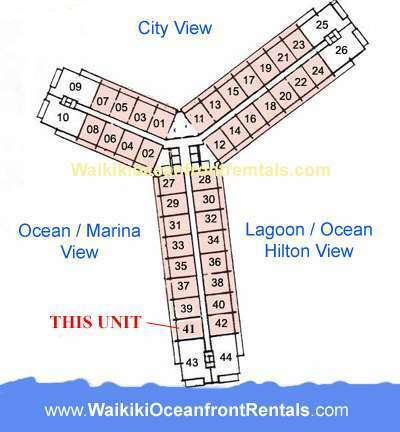 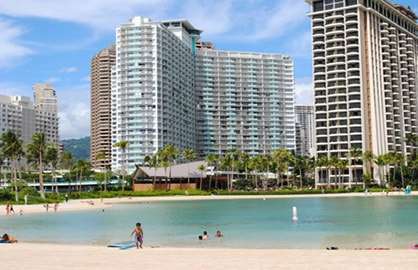 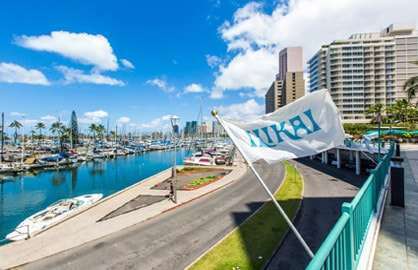 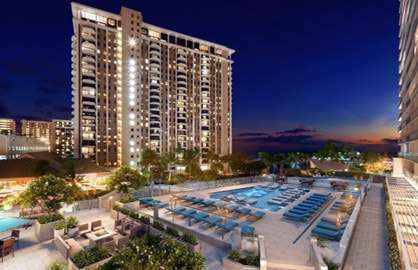 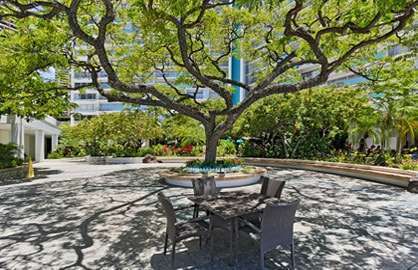 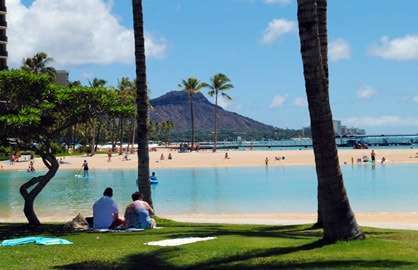 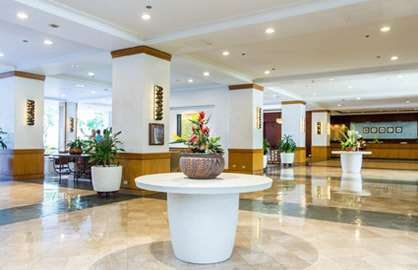 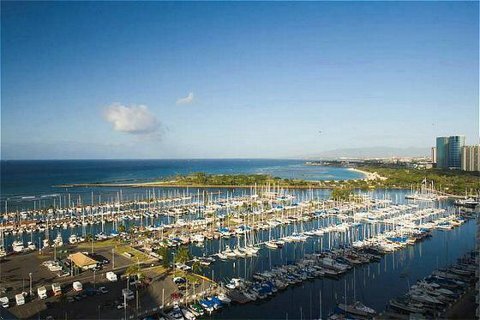 The Ilikai is conveniently located within easy walking distance of the everything in Waikiki and the Ala Moana shopping center mall, Ala Moana Beach Park, the Hawaii Convention Center and the many hotels, restaurants and shops of central Waikiki. 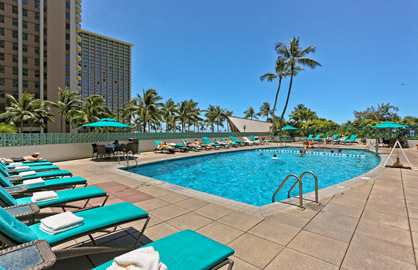 The Ilikai is literally steps from the beach and includes a shared pool, a bellman and valet service. 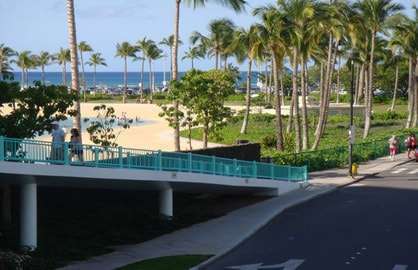 Ilikai 741 - We had a lovely stay in room 741. 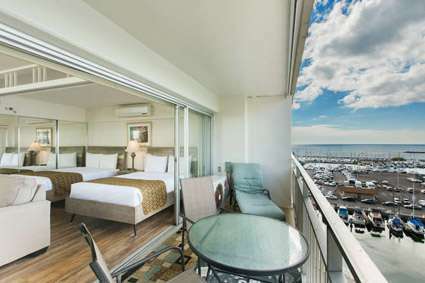 The room is big, the views are stunning all day round, the beds are comfortable and the lounge area is perfect to relax. 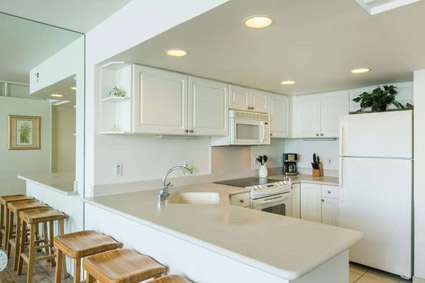 Kitchen could do with an upgrade however it is equipped with everything you could need, including a dishwasher. 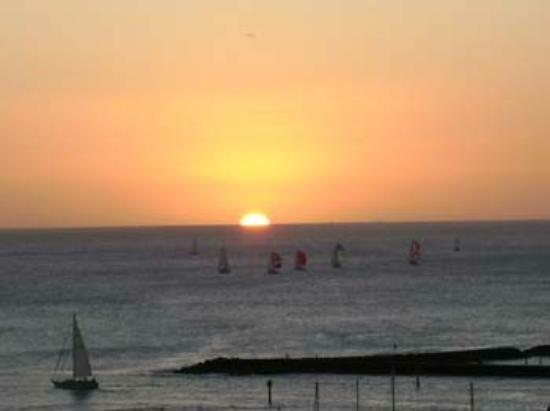 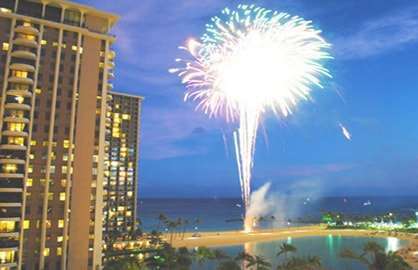 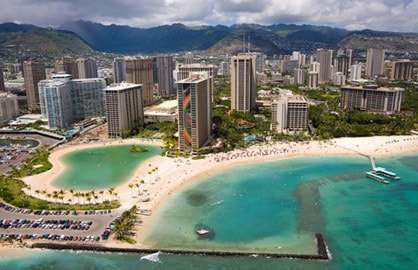 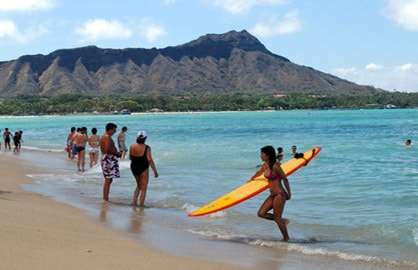 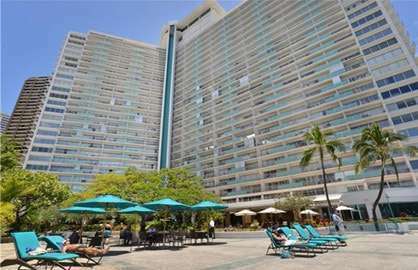 We look forward to our next stay at Waikiki Beach Rentals!